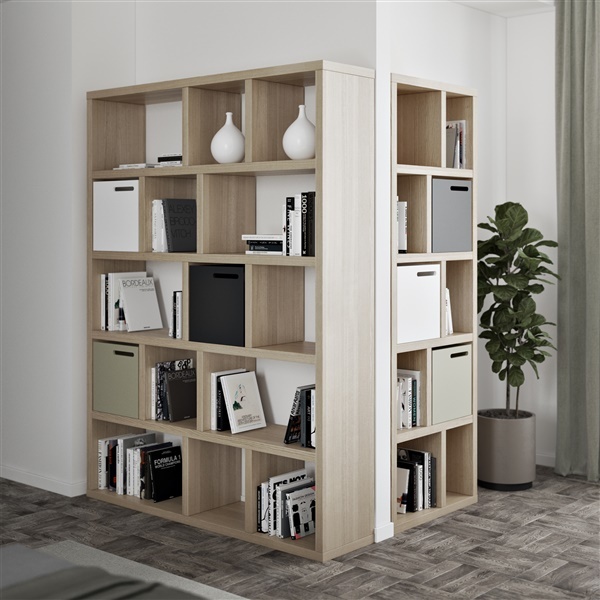 The Berlin 5 Level 28" Shelving Unit gives you the extra space you need to organize your DVDs, books and some decorative accents. Built with the highest-quality materials to provide long-lasting use, this unit features a sleek geometric design that will enhance any room in your modern home. Each row supplies one small and one large component to accommodate different sized items while supplying increased visual interest. To add a splash of color, you can combine this piece with the optional Berlin Box available for separate purchase.